The Hashlet is now available for the Pi! The Hashlet, a secure authentication device that performs SHA-256 in hardware, is now available for the Raspberry Pi! Like the BBB version, it slips on the expansion header and communicates over I2C. 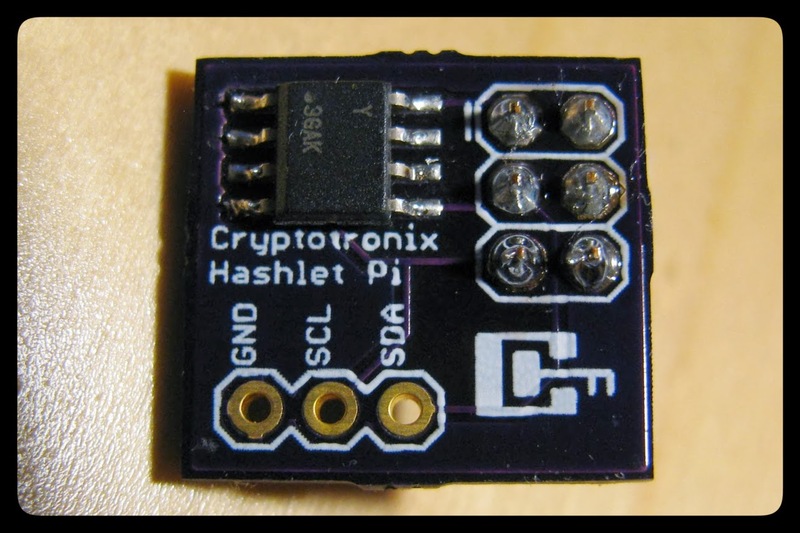 The Hashlet can provide a random number source, perform Message Authentication Codes, store up to 16 user programmable keys, and provide anti-counterfeiting features. The BBB version was recently featured on Atmel’s blog! The driver, developed by Cryptotronix, is GPLv3. Developers can check out the code on GitHub, but if you just want to compile and run the code, download the released version. Support is via my IRC channel: #cryptotronix on Freenode (come hang out! ), or via the Hashlet mailing lists. 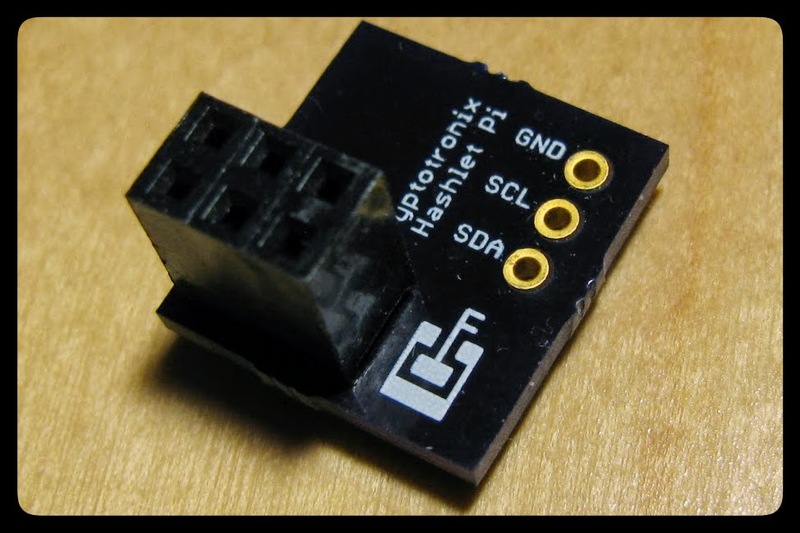 It’s available for purchase on Tindie (select Pi form factor), or directly from me via Bitcoin. ← The BeagleBone Black Hashlet has a new look!